Q:Where can I buy Authentic Killer Frogs? In our Killer Frogs Shop or from a distributor in your area. 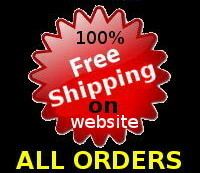 FREE..ALL SHIPPING on ALL ORDERS is FREE! to ANYWHERE in the world. We have stock in the UK and Thailand so shipping can take between 5-14 days depending on what destination country. If you would like to know about specific country please contact us for more information. Q:How do I buy Killer Frogs from your website? Please go to our shop page . Add any items to your basket. Follow the link to the checkout page. Enter your shipping and payment details. Double check your details and click submit order. You will receive a confirmation message and also email with you full order status and details. Q:How do I know I have an authentic Killer Frog? ALL Killer Frogs are only ever branded with the “Killer” stamp on the underbelly of the lure. Special edition models have handwritten text. Q:How can I become a distributor or retailer? If you are interested in becoming a retailer or distributor for Killer Frogs products then please contact us for wholesale prices. Q: What fish can I catch with Killer Frog fishing lures? Killer Frogs are designed to catch any (freshwater) fish that actively hunt and strike on topwater. Species like Snakehead, Pike, Barramundi and Peacock bass have all been caught using Killer Frog lures. 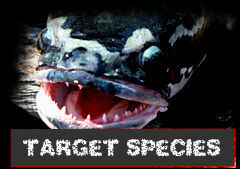 For more information on the fish species and more please take time to look at our Killer Frogs Target species page. Q: What hooks are Killer Frogs equipped with? As standard all hooks are VMC doubles and on some models OWNER doubles are fitted. 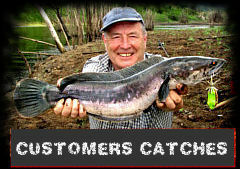 Check the Killer Frog lure models page for the exact specification of each of our lure models. Q: Do all frogs come with Buzzbait blades? No, some Killer Frogs for example ‘WALK THE FROG’ are primarily designed to be used without a buzz blade attachment. However all Killer Frog models can be used with a buzzer blade attachment. The ‘WALK THE FROG’ for example works very well with a buzzer blade although that is not what it was designed for. Q: Can I fish Killer Frogs without a buzzbait blade attachment? Yes, the buzzbait blade is secured to the Killer Frog by a split ring which can be removed very quickly. Q: Are Killer Frog fishing lures floating or sinking baits? We have both slow sinking Killer Frogs and floating Killer Frogs available. See our Killer Frogs products selection for more info.